Get ready to commandeer a quad bike and take an awesome journey through woodland tracks, streams, hills, river banks and absolutely marvellous amounts of mud! Book Now! Once you have arrived and been welcomed to the centre, your quad biking experience will begin with a thorough safety briefing covering all of the techniques and skills required before being fitted out with helmets and protective clothing. 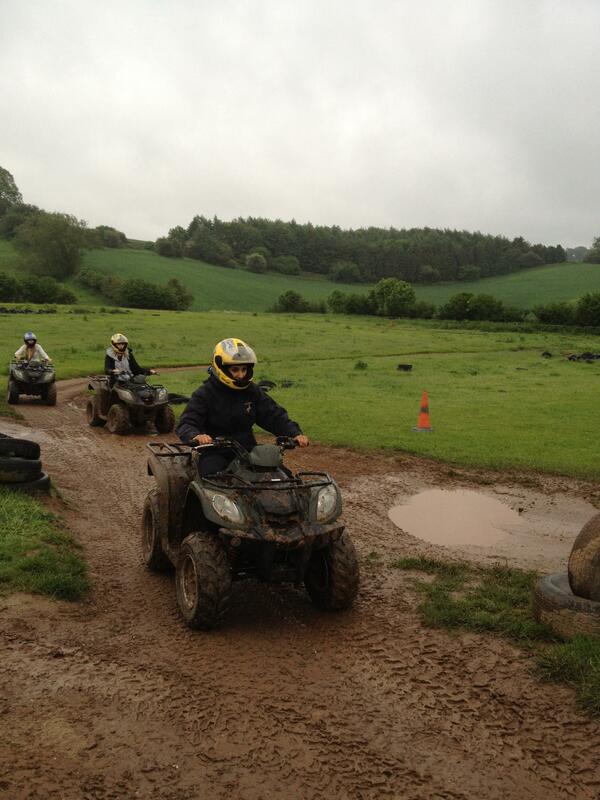 Its then time to get technical with your professional instructor, where they will show you the capabilities of the all terrain vehicles on the Track. You will have your own quad bike for the duration of this fantastic experience and once you have been briefed up its time to get out there tackling that tricky terrain! You will then be let loose and guided across varying ground types and through challenging routes on the Trek!